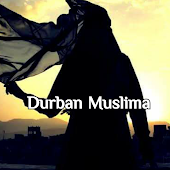 Durban Muslima: LUNCH WITH ALMIGHTY! A little boy wanted to meet Almighty ! He packed his suitcase with two sets of his dress and some packets of cakes! He started his journey, he walked a long distance and found a park! He was feeling tired, so, he decided to sit in the park and take some refreshment! He opened a packet of cake to eat! She asked him, "What did you do today that makes you look so happy?" He replied, "I had lunch with Almighty!" Before his mother could respond, he added, "You know what? She's got the most beautiful smile I've ever seen in my life!" Meanwhile, the old woman, also radiant with joy, returned to her home! Her son was stunned by the look of peace on her face and asked, "Mom, what did you do today that made you so happy?" She replied, "I ate cakes in the park with Almighty!" Before her son responded, she added, "You know, he's much younger than I expected!" Or the smallest act of caring, all of which have the potential to turn a life around! Remember, nobody knows what Almighty looks like! People come into our lives for a reason, for a season or for a lifetime! LET THEM ENJOY A BLESSING FROM THE ALMIGHTY IN YOU!